You may have noticed that this newsletter doesn’t contain as many articles as it normally does. The reason for that is that it is less than two weeks until Christmas and I am busier than a one-armed paper hanger with the itch! Having said that, I think you will still find the articles informative and useful. I have usually started my holiday baking by now but I have not. Hopefully that will begin on Tuesday. I am glad to say that all my gifts have been purchased and they are all wrapped, so that helps me in not feeling terribly overwhelmed. The house is decorated inside and out and the tree is trimmed. The holidays are always such a busy time of year, but I am trying to keep perspective and remember the reason for the season. Wouldn’t the world be a much nicer place if we all followed the golden rule and treated each other as we would like to be treated? I am not perfect, not by a long shot, but I do try to be! Let’s remember to donate to Toys for Tots or whatever your favorite charity may be; adopt a family for Christmas; feed some homeless people; volunteer in a food kitchen; help an elderly or infirm neighbor. You get the idea – the golden rule. I think that is the reason we are here – to help others and give freely even when we don’t have enough. Let’s all try to remember that, especially during the holiday season. My grandchildren are all very excited at the prospect of Santa visiting soon. I have knitted little ornaments for them and have mailed them to them as they LOVE to get mail. I made stars, hearts, snowmen, etc. My daughter told me that she found the snowman I made for my oldest grandson under his pillow in his bed this morning. That made me smile. It is totally worth it to sit up at night doing those things when I know they appreciate it. Please keep my youngest grandson in your prayers if you would. He has pneumonia. His doctor said this morning that he thinks he may have turned the corner but he isn’t all well yet. I would love for him to be well for Christmas. I know my subscribers are all different faiths, but I still want to share my holiday with you. Merry Christmas! I hope your holidays are filled, with love, light, friendship and compassion. You can easily protect the formatting of your worksheet without it affecting your data or text. 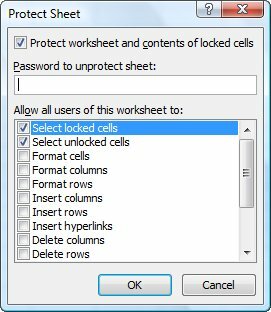 Select all the cells in your worksheet. 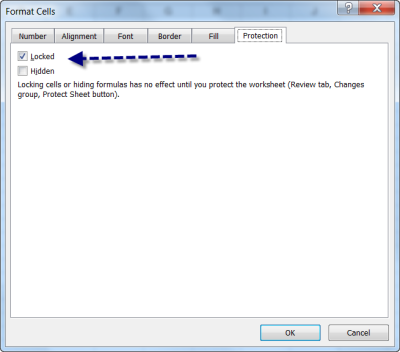 On the Home tab or your Ribbon in the Cells group, select Format Cells to open the dialog box. Make certain the Protection tab has been selected. Deselect the Locked check box. 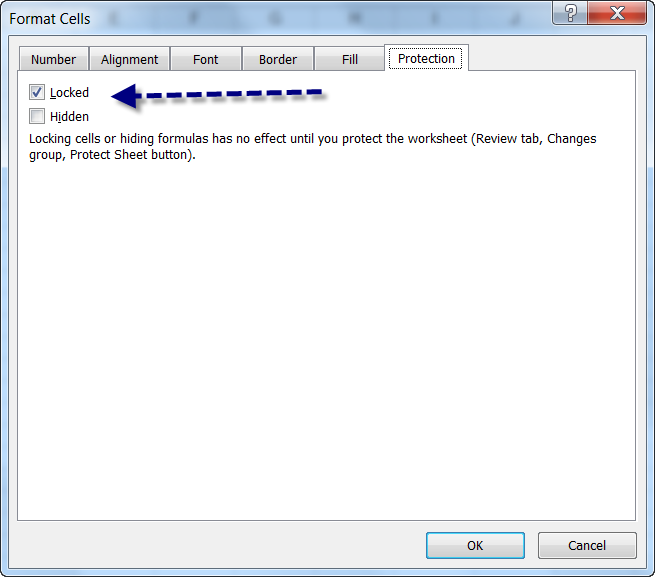 With your Home tab still displayed, in the Cells group, select Format | Protect Sheet, which will display the dialog box. Deselect the Format Cells check box. Not so difficult is it? Want a shortcut to quickly open your tab dialog box when you are working on a document? If you are anything like me, you are always looking for ways to save time and keystrokes. This is so simply you will wonder why you never heard of it before! All you need to do is double-click on your Ruler, just below the markings that appear there. That’s it! The Tab Dialog box will appear. There is one caveat though; when you double-click you may also inadvertently set a tab on your Ruler so make sure you glance up to see if you have. It’s not a big problem if you did. You can simply drag it off of your Ruler, release it and it will go away. You can also delete the tab in the Tabs dialog box. 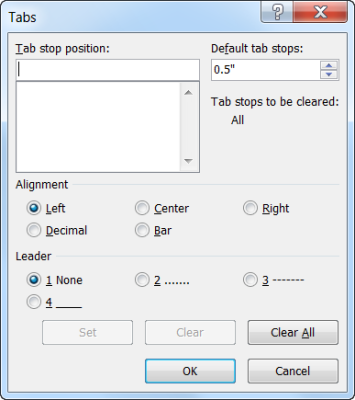 Make certain that you double-click at the bottom of your Ruler and not the top! Why? Well here’s another cool little trick – if you double-click at the top of your Ruler, it will open the Page Setup dialog for for you. Look at that – two tips for the price of one! You can tell it’s the holiday season can’t you?